Are you a ghosthead who loves Ghostbusters films and are tired of waiting for the professionals to make one? Do you enjoy fan produced Ghostbusters films by ghostheads with very little acting experience and semi professional effects? Great, because in Fall 2006 Ghostbusters NJ personnel made one for ghostheads like us. I even filmed an entire movie while on prescribed medication and traveling 61 miles. 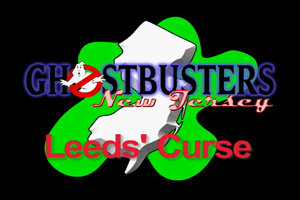 Leeds’ Curse (not to be confused with any other movie with a curse in it) is our first franchise movie. It’s based on the idea that Ghostbusters NJ has to track down the Jersey Devil. That’s not an easy task, supernatural stuff happens, and because of “last minute” reshoots I end up in jail. We also have a Behind The Scenes page from Leeds’ Curse I recreated this evening.